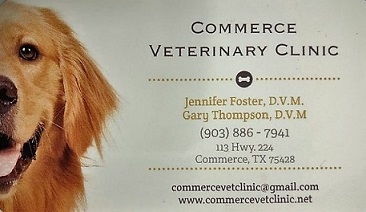 Commerce Veterinary Clinic offers a progressive new approach to veterinary care. Our wellness exam embraces a focus on preventative medicine based on the specific life-stage of your pet. Each patient is assessed individually based on factors such as species, breed, age, and environmental challenges. Next we offer recommendations for prevention, nutrition, and diagnostic work-ups appropriate for your pet. The key to a wellness exam is an emphasis on the annual health examination. 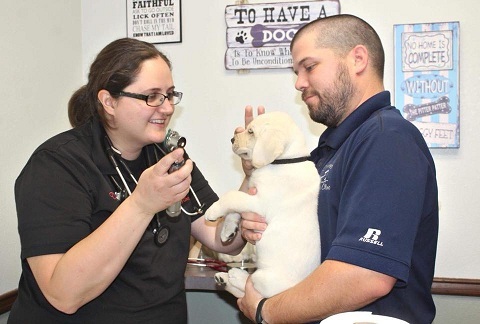 Each year when your pet comes in he or she will receive a comprehensive physical exam and age appropriate ancillary diagnostics (such as parasite tests and blood work) to screen for early signs of disease. Patients with health-related concerns will be recommended more advanced diagnostics when needed. More frequent re-evaluations will most-likely become necessary for those pets with ongoing illnesses. Please contact us for more information or to schedule your pets' wellness examination today.